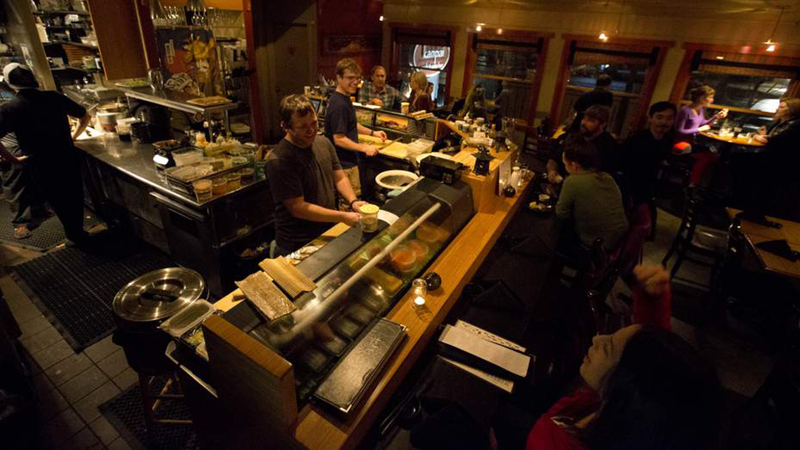 Recently remodeled and completely updated, Kanpai Sushi and Sake Bar is past its decade mark at their location on Newport Ave on Bend’s west side. Kanpai offers more than just dinner, they provide a culinary experience. They treat every dish as a work of art and excel in the smallest details. Always pushing their creative and culinary limits, Kanpai’s cuisine consistently offers the highest quality sushi in a comfortable atmosphere and, as a result, has been voted “Bend’s Best Sushi” 11 years running by readers of the source weekly. Kanpai sets a high standard for quality and creativity to make their customers feel good. Find them open 4:00 p.m. – 9:00 p.m. Monday – Saturday, no reservations necessary. Discover the true meaning of Happy Hour at Kanpai daily from 4:00 p.m. – 5:30 p.m. with delicious hand-made sushi and drink specials that will lift your spirits and feed your soul. Prices are in-house only.